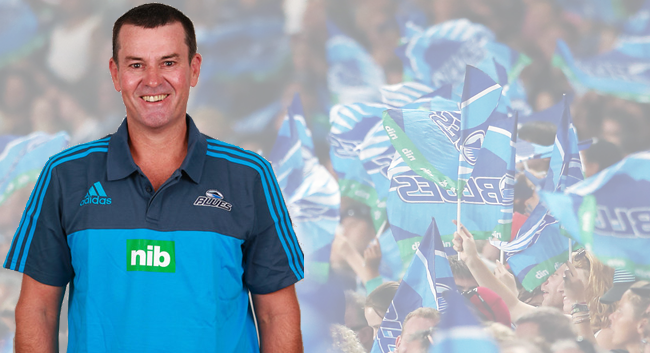 nib has teamed up with the Blues and we sat down with the Blues physio Mark Plummer. What is your role and what do you do with the Blues? I have a nine month contract each year with the Blues. I work alongside another physio, Ash Draper, and Dr Stephen Kara as the “medical team”. We have now worked seven seasons together in these roles. Pre-season starts with screening the squad, and developing pre-habilitation and re-habilitation plans for the players. We work very closely with the strength and conditioning staff in the early season planning for team and individuals. Our lofty goal is to have all players fit to train and play throughout the season – obviously this is not particularly realistic with a squad of more than 40, so therefore we work to mitigate injuries and time away from the game with combinations of programming, treatment, education, communication, experience, gut feel and science. What are the most common injuries that athletes get? Are there injuries to which rugby players are more susceptible? I think this really depends on the sport. Racket sports are more vulnerable to upper limb injuries, whereas runners are more prone to lower limb injuries. The most common of all injuries would be the sprained ankle. In rugby we have a spread. In 2015, 31% of our injuries were lower limb, and the 2nd most common area for injury was the upper limb (18%). We also like to differentiate between contact injuries and non-contact injuries (which we have less control over). Last season 70% of our injuries occurred during matches, and of those 88% were contact related. Outline 3-4 major injuries players get, and what should an individual do if they get these injuries? Unfortunately, injuries are part of the game, and we never like to see the more serious ones which put players out of the game for extended periods of time. The most common of the serious injuries we see are ruptured anterior cruciate ligament of the knee, dislocation of the shoulder joint and fractures. Often, these all require surgery and long periods of rehabilitation. The younger the players are with unstable knees and shoulders, the more susceptible they are to re-injury. For this reason, post surgery, we really try to rehabilitate these quite conservatively time-wise, put a lot of resource around these players and have a very holistic approach involving a sports psychologist, nutritionist, coaches, professional development manager, strength and conditioning staff, high performance manager, doctor, family and physio. What is the best way to prevent these injuries? Our screening processes pre-season hopefully assist in identifying some at-risk players. We have developed pretty stringent pre-habilitation programmes for both individuals and the team as a whole. We target areas of weakness, deficits in movement patterns, strength or range of movement. Which of the Blues players get the most treatment? Which injury? How does it happen? Certainly there are some that seek treatment more than others. In all teams there are under reporters and over reporters. The key is to make sure all injuries are given the same respect and they get good subjective and objective assessment, diagnosis, education and a return to play plan. Again this is a multi-disciplinary approach catering to the individual. Some positions, and some players because of their style of play, are definitely more prone to certain injuries. Number seven always appears the most at risk given the requirements of that position. I’ve been lucky that having been with the Blues for seven years there have been a lot of trips, a lot of travel, opportunities to see and experience different things and to meet / work with some special people. South Africa has always given great adventures – two that spring to mind are going on Safari, and shark diving off the coast of Durban (no cages). What is the worst injury you have dealt with for the Blues? How did it happen and how was it treated? We have discussed major injuries and their impact on players previously. Any injury which puts a player out of the game for lengthy periods is difficult to deal with. It is heartbreaking when you know the hard work, dedication and hours the player has spent preparing for a season. One particular case this year would be TJ Fiane who suffered a repeat ACL Rupture, and subsequent 2nd surgery, when in the final stages of rehab following the 1st surgery. For those who are not professional sportspeople, is there anything they can do in their daily lives (home/office) to avoid getting injured? Movement is key – be active. Do regular exercise and choose exercise you like – diarize it like any other appointment. This is investing in yourself. Try and exercise with a buddy, and this often avoids the excuses to opt out of sessions. Set realistic goals to avoid injury – build up your running and exercise regimes incrementally. Seek professional advice if you sustain an injury. Do you ever wish you were out on the field with the Blues? Simple – NO!! Players continue to get bigger, faster, stronger and more conditioned. I have the best seat in the house (sideline) to witness the contact and physicality. I don’t think I’d last long in that environment. I have huge respect for what these men put their bodies through. I don’t need to join them! Are there any local businesses in NZ that you work with to keep the Blues match ready? USL in Avondale provide us with all our taping needs. Great team to work with.